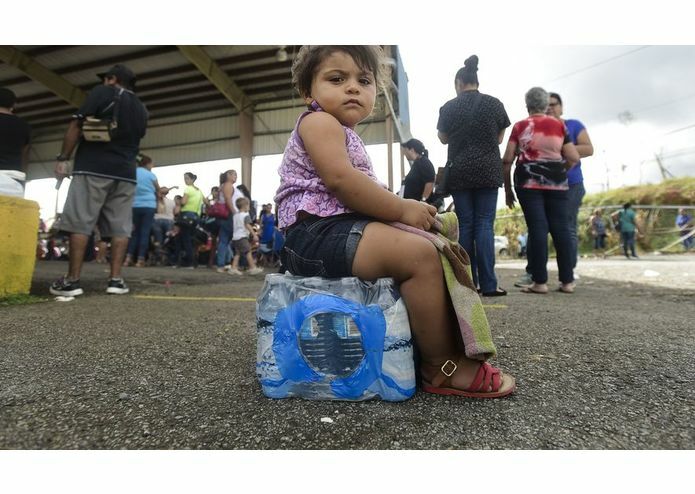 Bottled water is scarce in Puerto Rico and does not reach inland. The situation in Puerto Rico is this bad. 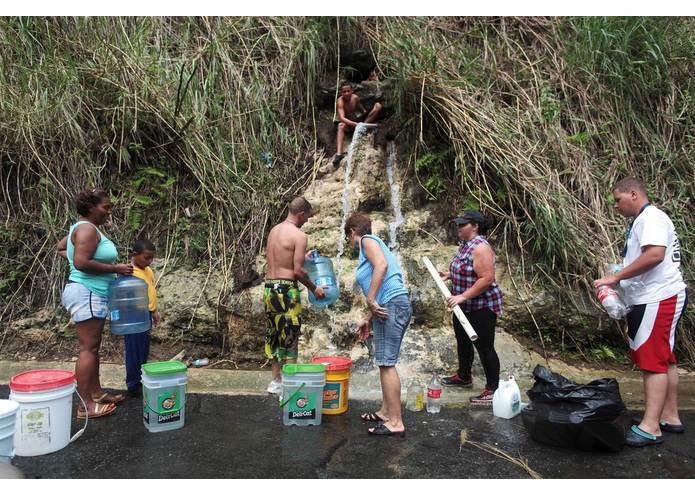 In the absence of bottled water, Puerto Ricans are desperate for water and have to resort to drinking from potentially contaminated sources. 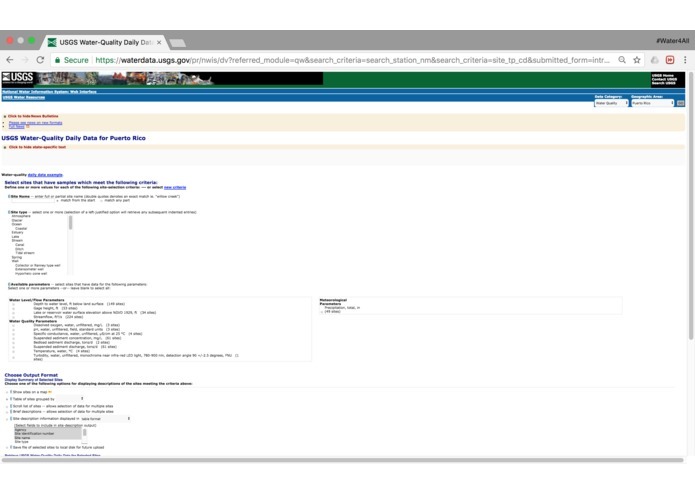 The current USGS website for water data in Puerto Rico can be complicated for users to understand and use easily and urgently. Google Maps are familiar and quick to use! ... a GPS-enbaled arduino-based water sensor can test for pH, dissolved oxygen, conductivity, and temperature! Wherever the data comes from, it can be processed, verified, and updated on the Google Map reflecting the quality of water as safe or not. 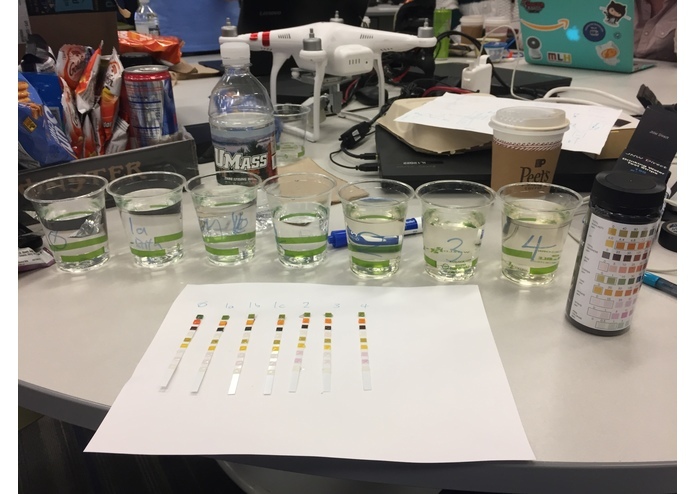 Drones could be automated to do water testing using machine learning and deliver time-critical supplies using LiveWaterMap. We made this at HackUMass V! 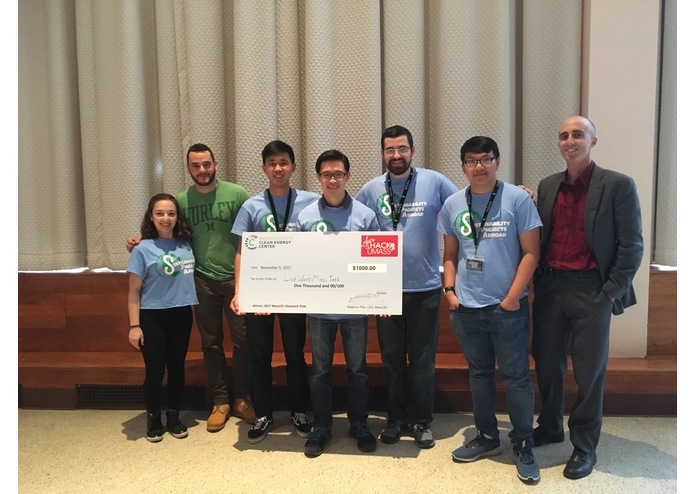 MassCEC's award of $1,000 will go towards connecting people like Hector's (second from left) family in Puerto Rico to clean water. When Hurricane Maria made landfall on Puerto Rico on September 20th, 2017, the water, transport, energy, healthcare, and telecommunications infrastructure was stripped away from more than 3 million people. 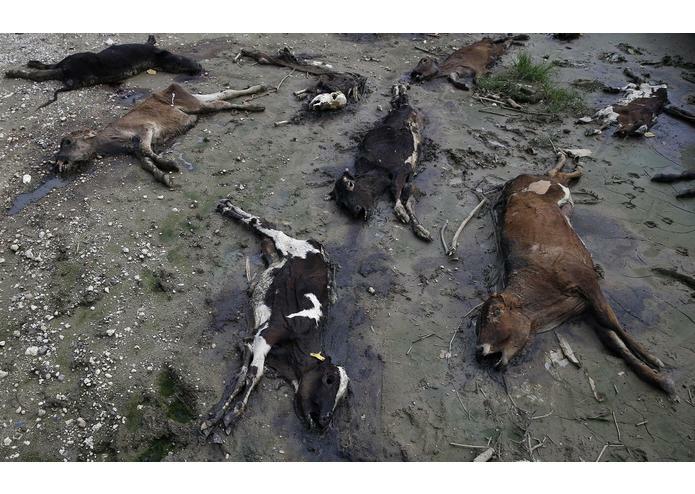 Almost immediately, clean water became a scarce commodity on the island. First responders and aid organizations responded by bringing supplies, including bottled water, to the port of San Juan. Unfortunately, not much of the essential supplies reached inland, resulting in people resorting to drinking from contaminated water sources. The aftermath of the hurricane on Puerto Rico, as of today, has taken more than 900 American lives. The risk of an island-wide water-borne illness outbreak is imminent if unchecked. Puerto Rican students and employees at the University of Massachusetts Amherst were gravely concerned. 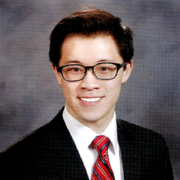 Among them was Hector Luis who approached Bryan Chua from the registered student organization, Sustainability Projects Abroad (SPA), to begin planning a disaster relief and community development trip to Puerto Rico from January 2nd to 14th, 2017. 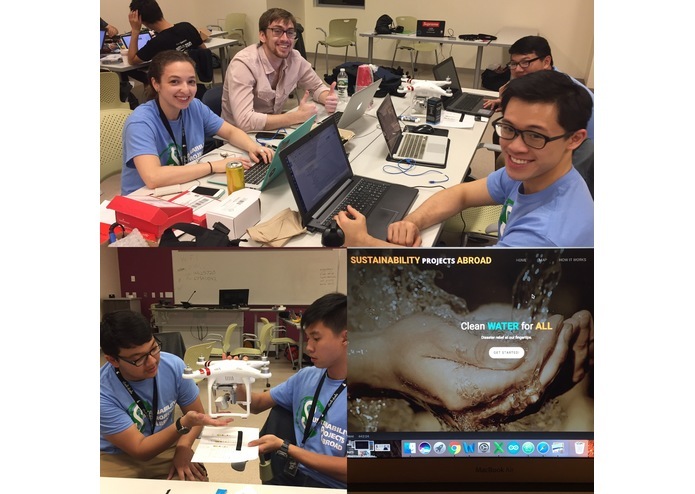 SPA sent a team to not just to win HackUMass V, but to build a working prototype of LiveWaterMap, an urgent solution that will aid local authorities and community leaders in locating, assessing, and remediating contaminated water sources, so that millions of lives in Puerto Rico and other disaster-hit regions around the world will be saved. 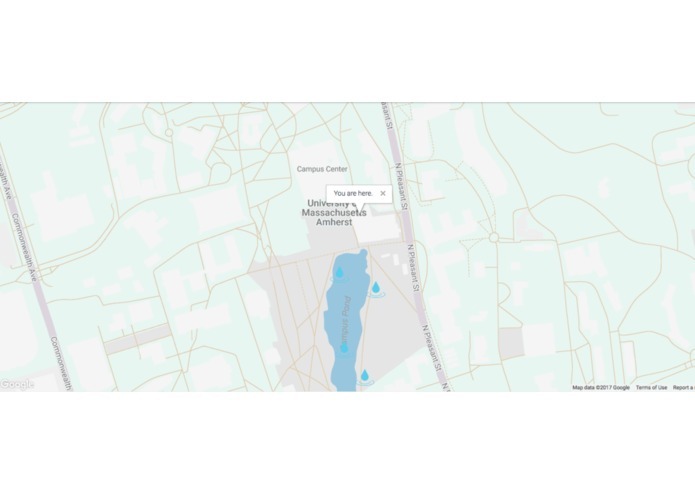 LiveWaterMap is an online web service that collects and maps water quality data using GPS and time data - information that can be easily understood and made available for anyone, anytime, anywhere. 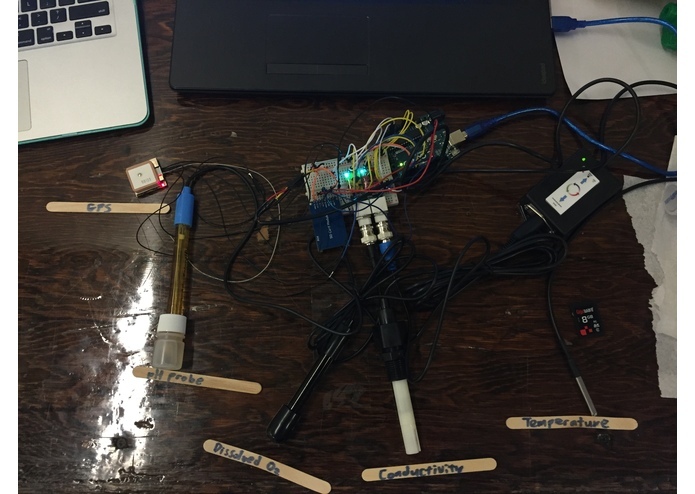 Low-cost, open-source, modular, Arduino-based water sensors can easily be configured to send geotagged and timestamped data on 4 different parameters (pH, dissolved oxygen, conductivity, and temperature) that can be interpreted to determine if a water source is likely to be contaminated or not. The water data will also be automatically uploaded onto a Google Map API on LiveWaterMap.tech that allows members of the public to access and see if the water sources around them are contaminated or not according to EPA regulations, thereby providing much-needed information on which water sources should be avoided, which water sources need remediation, and which water sources can be filtered for safe water consumption or used for other purposes like cooking, bathing, or laundry. LiveWaterMap is a freemium business model that allows the public to access information on whether a water source is contaminated or not, thereby facilitating disaster relief and community development for as many people as possible. If customers like municipalities, business owners, or farmers want to know what exact contaminants are in a region for commercial purposes, they could pay to see the exact data mapped out on LiveWaterMap. 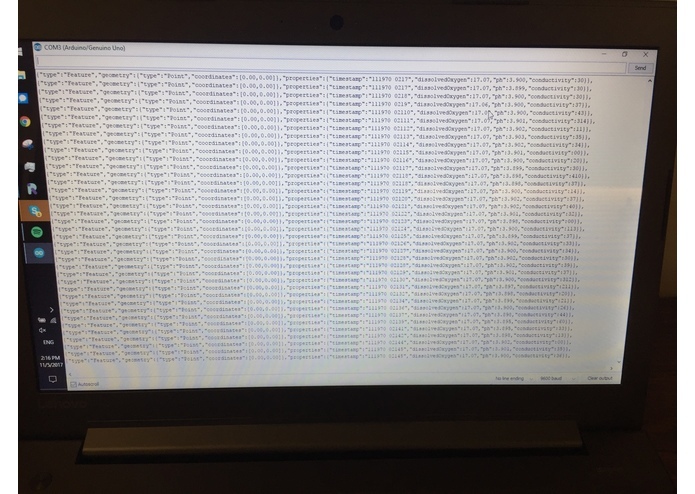 We connected our 5 sensors to an Arduino Uno, which aggregated the various data into a GeoJSON format and saved it to an SD card. That output was then fed into a web app that displayed markers on Google Maps for each geotagged collection of data. The software challenges included ensuring the Arduino was reading inputs from multiple serial ports correctly, as well as handling possible failures of individual sensors and how that affects the data output to Google Maps. Additionally, ensuring our Map updated with and displayed the correct markers and data on our webpage was a bit of a hurdle in the beginning. We learned a large amount technically i.e. how to pull in data from various serial ports in Arduino, how to use GeoJSON and KML to update markers on Google Maps, how to display that updated map in a webpage. We took a look at the next steps in assembling the hardware for our software. Beyond that, we also learned how to turn LiveWaterMap into a viable enterprise with a profitable business model while maintaining our disaster relief vision. 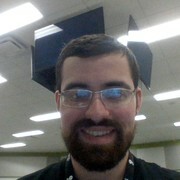 The team from LiveWaterMap.tech is committed to helping support disaster relief and community development efforts in Puerto Rico and has begun contacting local mayors and parish leaders in preparation for a Jan 2nd to 14th trip to test out how LiveWaterMap.tech would work on the ground, gather feedback, and improve the service. There are currently many ideas and stretch goals that LiveWaterMap.tech could attain to. 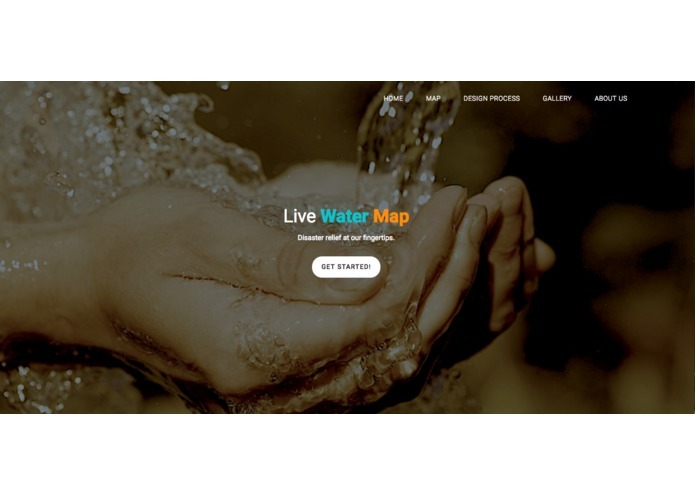 LiveWaterMap.tech is currently a web service that could come up with a user-friendly web app that could be a go-to resource for communities in times of water crisis by disseminating live water maps and other important and urgent information. 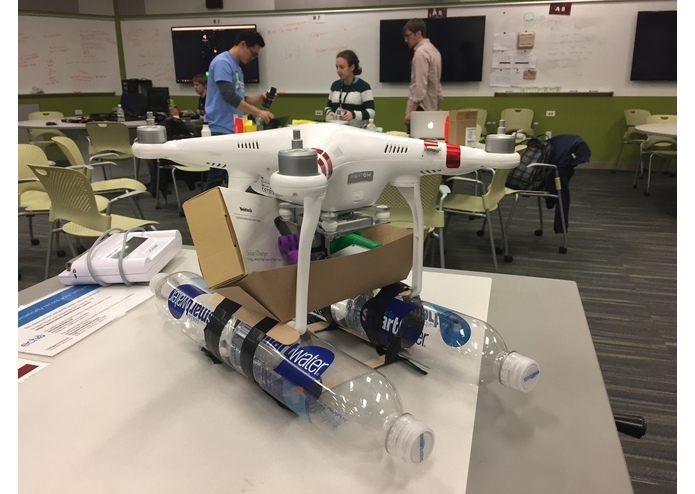 The team also has plans for using drones that can be autonomous and use machine learning to detect and measure potential contaminated water sites. For a commercially-viable operation, the drones would be a part of an Internet of Things (IoT) fleet that could include other instruments with NMEA 2000 compliance for real-time data collection, analysis, and mapping. Sensors could be automated for taking multiple readings, performing self-calibration or being automatically swapped out between use. 3D printing could be utilized for replacing and delivering drone parts and other useful products like water filters. These off-the-shelf drones could replace the costly, manpower-intensive, and dangerous work of environmental remediation - a global market valued at USD80 billion in 2016 with a Current Annual Growth Rate (CAGR) of 7.5% between 2017 and 2022. The LiveWaterMap website is expected to be fully-operational by the end of November and shall be launched in conjunction with a fundraising campaign for the Puerto Rico trip. SPA meets every Wednesday, 6 to 7pm at Elm classroom 230 and is looking for anyone of any major to collaborate on the project. Contact us at spaumass@gmail.com!